Want free cash? Want free cash that you can use for your Xbox One? Well, GameStop is giving away $5 of free Xbox Live store cash, right now. Over on GameStop's official Facebook page the company has rolled out a promotion that sees them giving away $5... for free! The promotion is pretty easy to take part in and all it requires is an e-mail address and a Facebook account. Hey look, we all feel a “certain” way about Facebook – especially after they acquired the Oculus Rift – but if you can get free cash for doing nothing more than signing in to a retailer's Facebook page and typing in a few letters and numbers before clicking a big button, then I say why not? This is part of a collaboration between Microsoft and GameStop for their #XBLGoldMineAtGS campaign. I imagine this is a marketing measure put into place to keep up (or build up) any additional forms of hype post-E3 for the new (and marketably improved) Xbox One. The sometimes $5 is the make-it or break-it point for some gamers, and offering them up an incentive of being able to spend five-free dollars on anything they want is pretty cool, actually. Once again, here's the link to the GameStop Facebook page for a free $5 Xbox Live promo code. You can redeem the code over on the official Xbox Live website. 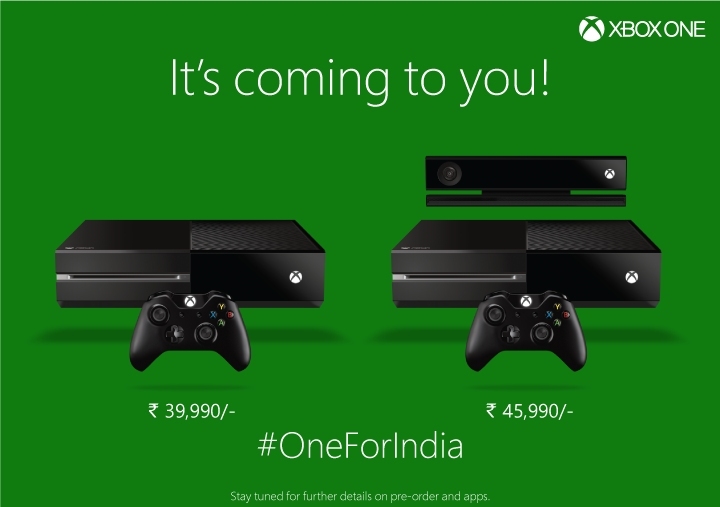 Since the word count hasn't been met, it might be worth noting that the Xbox One is now available for pre-order in India... from only one retailer. According to Games In Asia, Game4U is the only Indian retailer taking pre-orders for both the standard Xbox One and Kinect-less SKU, as evidenced with Microsoft's poster for the devices. If the pricing looks a little steep that's because it is. The Xbox One without Kinect will go for 39,990 rupees ($664), while the Xbox One bundled with Kinect will retail for 45,990 rupees (estimated around $763). According to Games In Asia, only India has offered up pre-orders for Microsoft's console, which is set to arrive in tier 2 countries beginning September 23rd.